False lashes are something that I tried a long time ago; didn’t get on with, so never gave them the time of day. Until late last year when I decided to give them another go, and it’s safe to say that I fell in love. 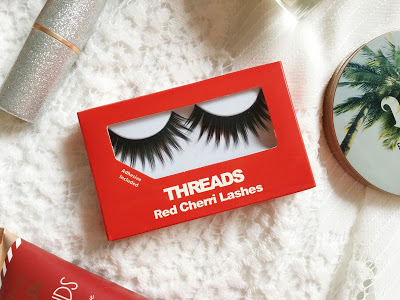 I was recently contacted by the brand Threads, and after lusting over their lashes for a while I was over the moon to be able to try some. They arrive in a red cardboard box, and I am a big fan of the colour choice, as it is simple and elegant. The boxes aren’t that sturdy, so don’t get too attached, as they don’t last too long. You can put it back together though if you do want to keep it. Each set arrives with its own glue, which I wasn’t expecting, so that was a nice surprise. I also like the quality of the glue, as I find they really lock the lash in place, as I didn’t have a problem with these at all. The glue is also fragrance and latex free. The lashes are also handmade, which makes all the details that little bit more special. Each set of lashes costs £9. I was instantly drawn to these pair as they’re very versatile. I wore these during the day, but they can easily be worn for a night out too. They have a lot of texture, but the lash strands are still dainty and delicate. I am yet to try these, as I haven’t had the occasion since receiving them. They are definitely the louder option, compared to Celestial. This pair is just as gorgeous with a lot of texture and a fuller look. Overall I really love these lashes, if you’d like to check them out then you can click here! 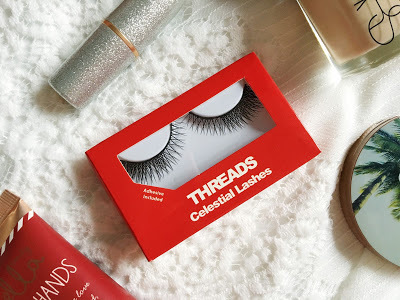 Have you tried any lashes from Threads before? 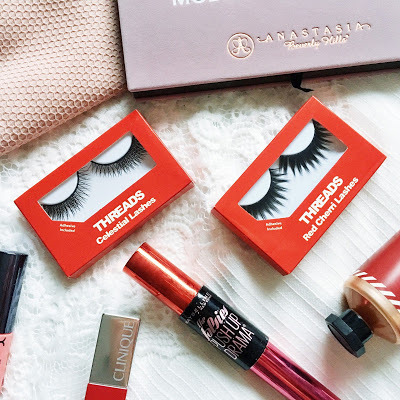 "20 Things I’ve Learnt in 20 Years"
The celestial lashes look gorgeous! The celestial lashes definitely look very pretty. Something a person could wear during the day for a natural makeup look.